Robin's Egg Frames with Gold Accents - Yes! 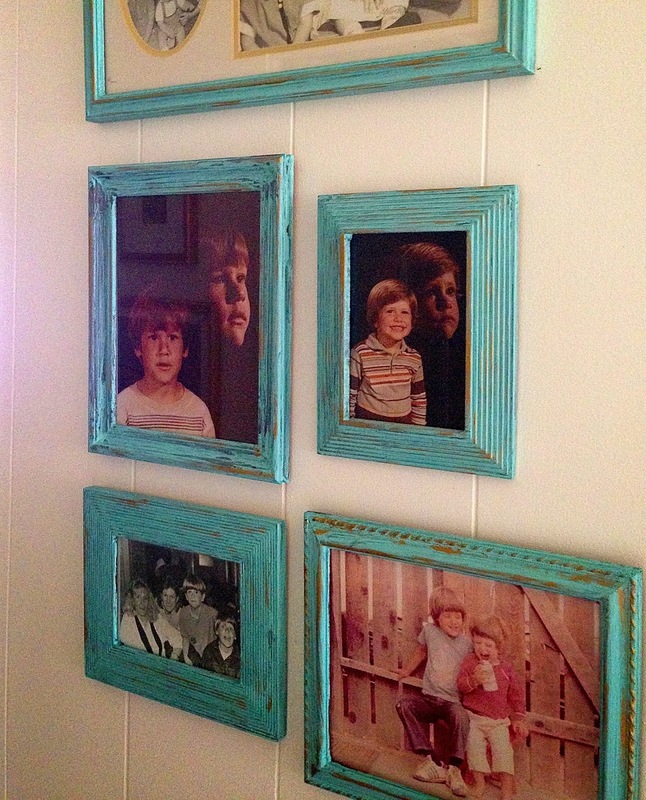 I was tired of the "ho-hum" dark brown picture frames I had hanging in my hall way. Time for a new coat of paint. 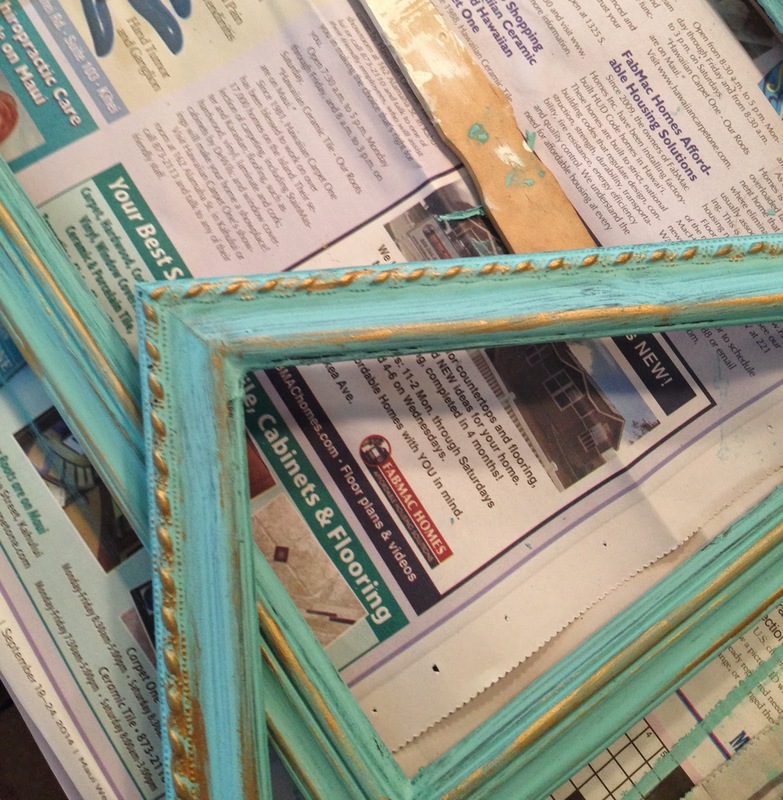 I painted the frames with a container of sample paint I had mixed at Lowe's and added Plaster of Paris for a chalk paint effect. For the gold accents, I used Amaco Rub'nBuff - Gold Leaf. I love this stuff! It's easy to apply and adheres to woods, metals and plastics. As you can see, I'm rather sloppy when I paint, but I like the worn look. I think this paint scheme would be beautiful on something larger and more ornate than my frames .... but until then, I'll enjoy my little gallery. This is the third time I have painted these frames. With no before pictures to show you, imagine these a dark chocolate brown ... uck! When doing small jobs, most hardware stores offer sample paints for a few dollars. 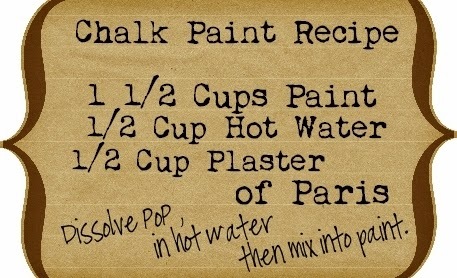 Pick a color and preferably a flat paint and have them mix it. I used my index finger to apply the gold leaf paint. Just rub off any excess. For those who periodically shop at Gilded Palm on Etsy, the store will be closing until November 1. I will be revamping the store banner, taking new photos plus eliminating AND adding new merchandise. 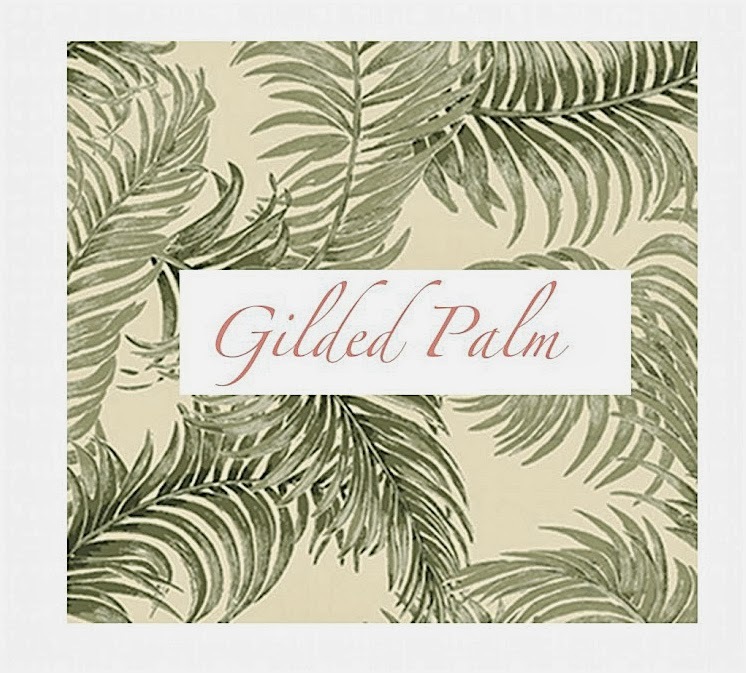 But, I can't neglect the Gilded Palm blog! This time of year is my favorite time of year. 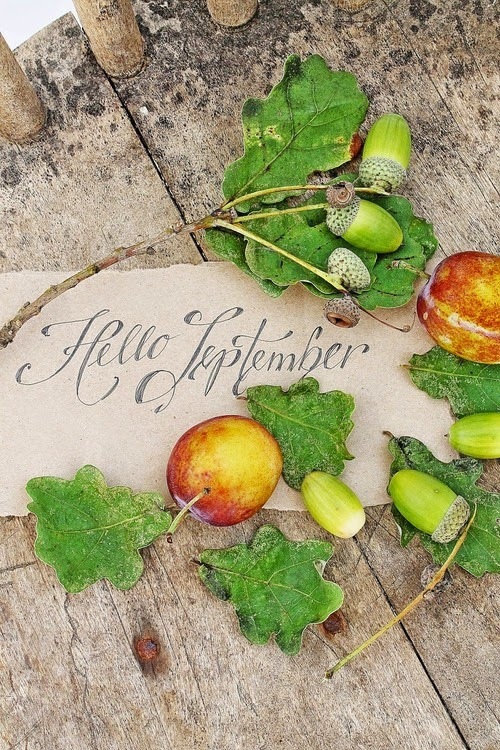 I'll have fall recipes and some crafts to share plus photos and quotes for inspiration and creativity. Certainly, don't "overwork"! 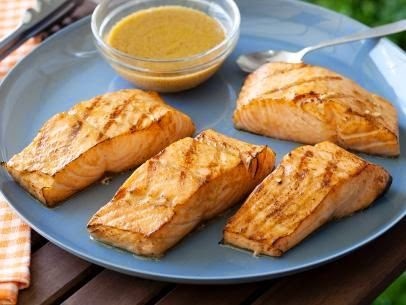 And if you are still trying to decide what to BBQ, try this ono-licious Asian grilled salmon recipe from Ina Garten. It's a hit at our house with some Ajinomoto Yakisoba frozen noodles from Costco, black rice (once reserved for only the emperors) and a tossed salad ..... easy breezy, yummy and healthy. Oh, Fall! Hurry up! 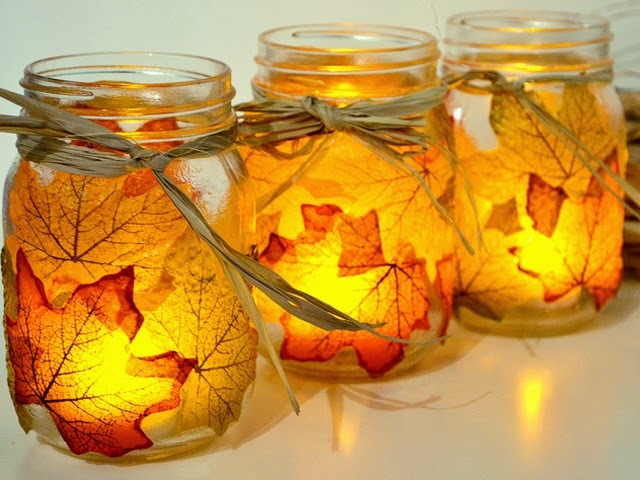 But while we wait, here are some cute fall ideas using canning jars! 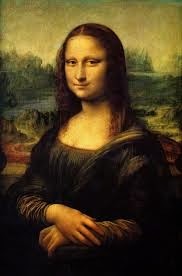 On this day, in 1911, the Mona Lisa was stolen from the Louvre Museum In Paris. To commemorate this historical event, the museum created this short animated video on how the painting was stolen and subsequently found. Below is a link to the video. 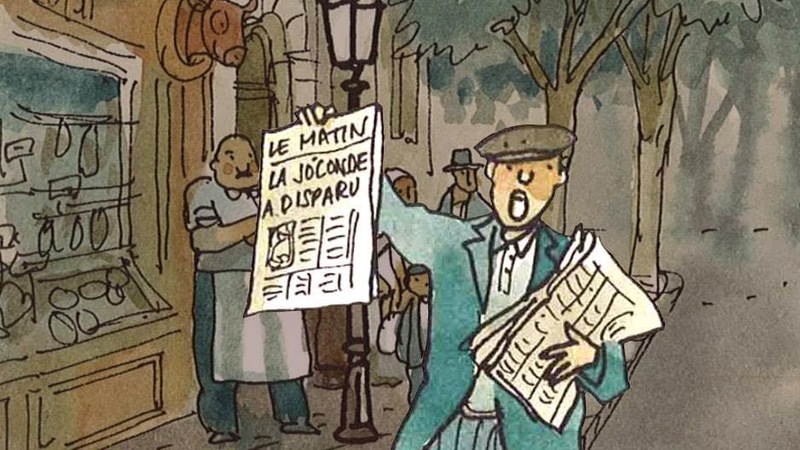 If the video is in it's native tongue of French (and you don't understand like me), in the upper right hand corner of the page, you can change the language. Happy Hump Day! 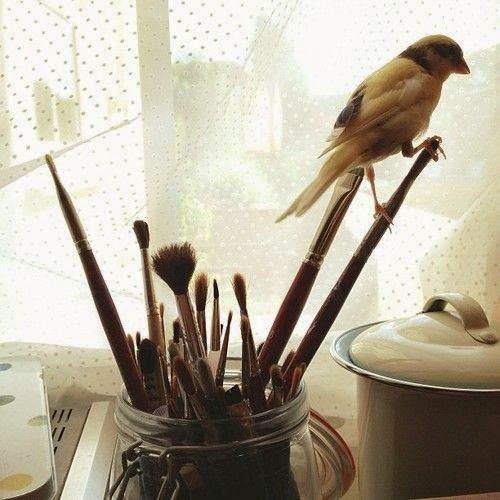 Try and be creative today. Draw a picture, write in your journal, plant some flowers, try a new recipe .... just use your imagination! Hum... the cast iron skillet! 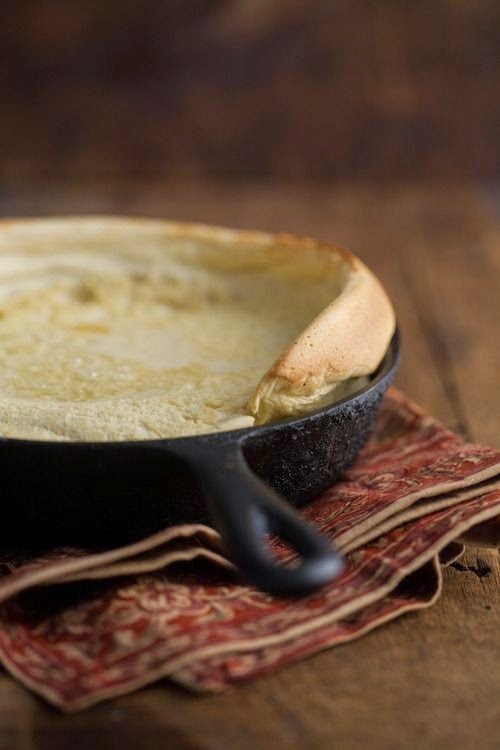 So many uses from whipping up some buttermilk pancakes to baking dense chocolate cakes and to flakey crust pies. I recently watched a report on one of those news shows (it shall go unnamed because I can't quite remember which one) that focused on cast ironware, skillets in general. I guess they're all the rage now with those adventurous people honing their culinary skills. My first iron skillet was a wedding gift from my oldest sister. The skillet didn't really survive the test of time as I wasn't aware how to care for it. 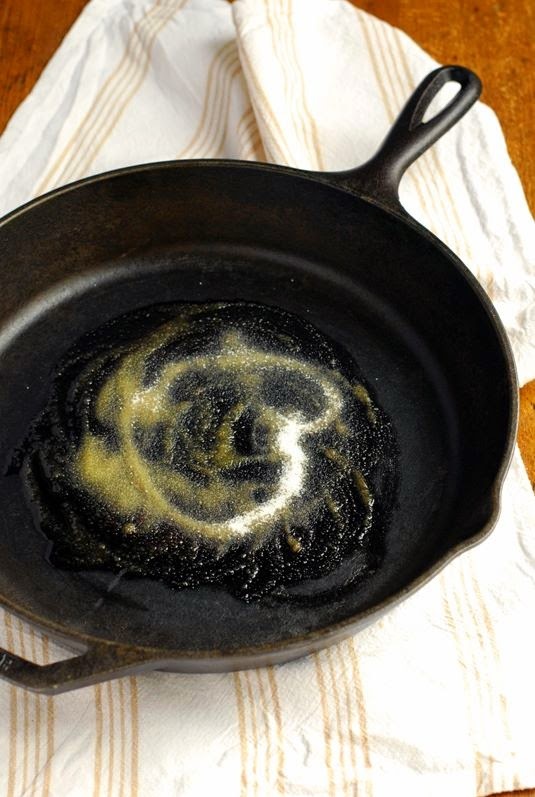 I know, I know .... pretty hard to kill a cast iron skillet. This little beauty pictured here was purchased at an estate sale a few years back. 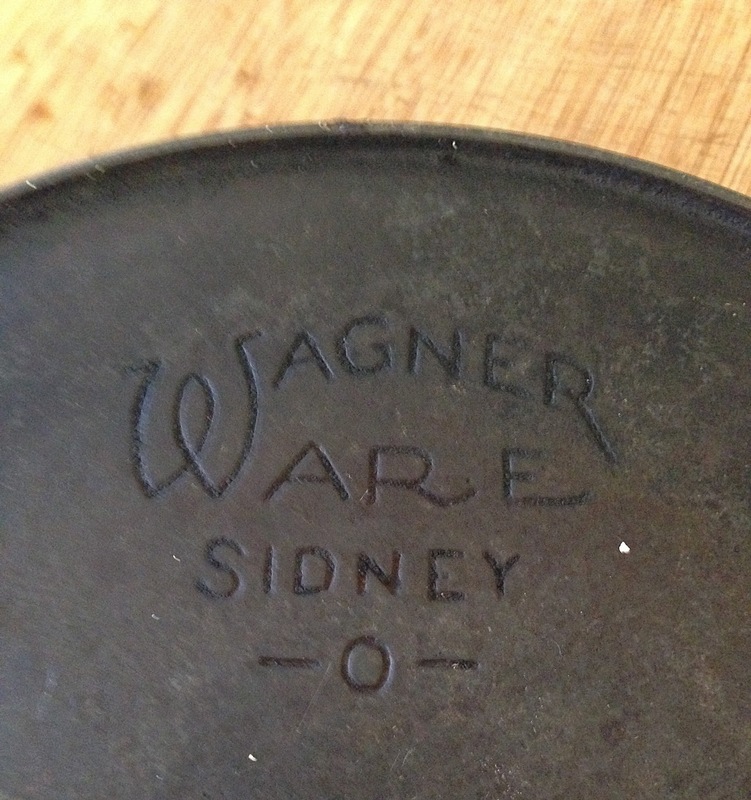 I did some research and was able to determine by the font and where it is placed on the bottom of the skillet, it was manufactured between 1924 to 1935. Thanks to Country Living magazine, I can provide you a link to clean not only your cast ironware but other items you frequently use in your kitchen. Bon Appétit!